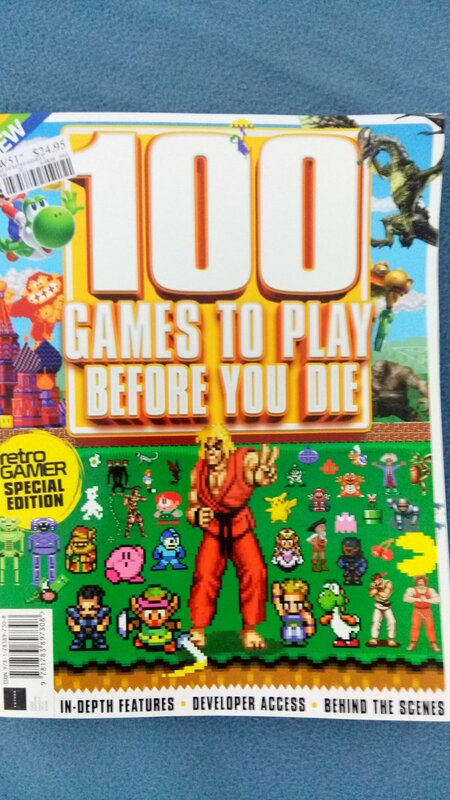 So I pick up Retro Gamer here and there, it's generally a quality mag. And when they did the epic 200 page special edition, I couldn't go past it without getting it. Now full disclosure, while I'm not a Kick Off fan, I do consider myself to be a friend of Dino Dini. 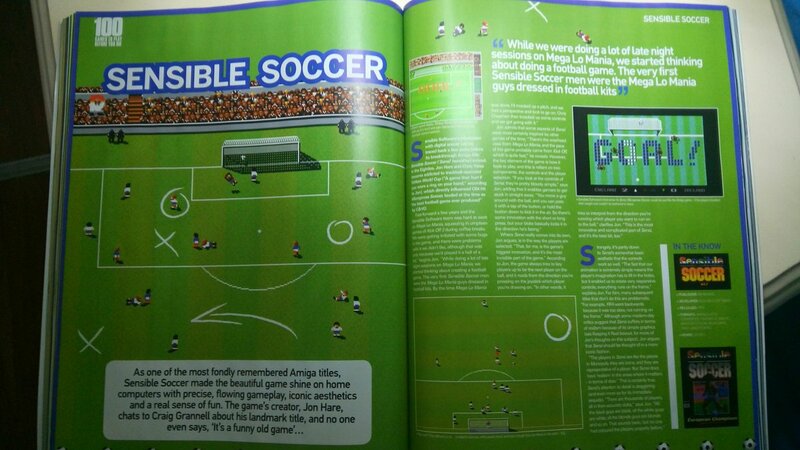 And it doesn't bother me that Sensible Soccer got a 4 page spread, no problem at all! But reading what Jon Hare said about another game, which happens to be Kick Off 2 by Dino Dini, I thought was unfair. Fast-forward a few years and the Sensible Software team was hard at work on Mega Lo Mania, squeezing in umpteen games of Kick Off 2 during coffee breaks. "we were getting irritated with some bugs in the game, and there were problems with it we didn't like, although that was only because we'd played it a hell of a lot" begins Jon. "While doing a lot of late night sessions on Mega Lo Mania, we started thinking about creating a football game..."
The thing with this statement is that a developer (Jon Hare) is talking negatively about another game made by someone else (Dino Dini). I've never seen this done before, let alone in print! Sure, Jon Hare could have been asked about the beginning and influences for his game in an interview, it's a normal question. But professionals only tend to talk about their own work and rarely mention the work of others, and never in a negative light! Why? because it's unprofessional, unproductive and very immature. But it say's a lot about one's character to be sure! "having played it a hell of a lot", to me isn't the most flattering comment. Never did he mention if they had fun or enjoyed the game. And yes, that's a valid statement, not all games were 'fun', I recall as a kid, I played a hell of a lot of cheap text adventures on the commodore 64 ( Drak & African Safari ). I wanted to progress the story and beat them, but I got stuck with some very cryptic problem, these were common in text adventures in the old days, well I found it very irritating and not fun at all. I had a very limited library, so I truly played these two games a hell of a lot! Then Jon Hare, goes on to really diminish any positivity that might have been implied, by saying "irritated with some bugs" and "there were problems with it we didn't like". This kind of language is expected by someone reviewing a game. Generally the person reviewing something doesn't have any connection to what they're reviewing, because that's professional misconduct. John Hare not being a video games reviewer but instead a video games developer himself goes beyond professional misconduct and straight into the fiery realms of unethical douche-baggery! Does Jon Hare feel so insecure that he feels he needs to put another developer's game down? 30 years later? To me the way the article is written sounds like Jon Hare does, and he's trolling for drama, at the expense of Dino Dini. After saying all this, I don't blame Jon Hare and nor do I really mean it. I'll give him the credit he deserves as someone that's been in the professional game development business for 30+ years! Unfortunately, this level of writing isn't usually the fault of the interviewee, but the interviewer. The article writer should have known the consequence of writing what they did! Also the editor of the magazine, the person that would have signed off on it should have picked it up! If either the writer or the editor had any professionalism and duty of care as journalist, they wouldn't have printed it as is! 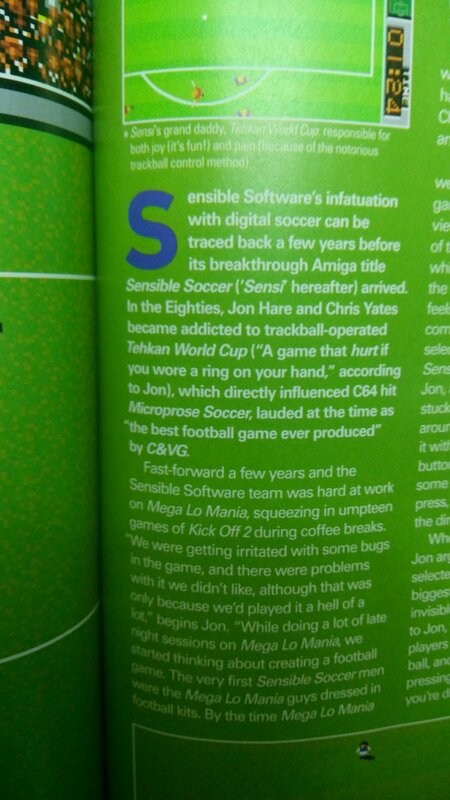 Was the brief mention of Kick Off 2 that important to the story of Sensible Soccer? I argue no, just like Sensible Soccer is just one of many games that predates FIFA, and irrelevant. Nor were the Kick Off games the only soccer games that predates Sensible Soccer. Could they have not just removed the Kick Off 2 reference? You know... to protect the innocent? We don't know what Jon Hare actually said when he was interviewed for the magazine article. He could have actually said something nice about Kick Off 2 and the writer or editor just edited it out for whatever reasons. There might be a PERSONAL relationship between Jon Hare and Dino Dini of some kind but the article doesn't suggest it. In this video interview with Jon Hare and Kim Justice, they talk about Dino Dini and Kick off (at the 1 hour mark) with compliments and praise. "I made it clear to him that, from our perspective it wasn't rivalry, we thought that his game was great, it was the best football game, we just made another one." - with no mention of bugs nor problems. PS: If you have a comment or feed back, please leave it below, I may miss it on my social media feed. Page last modified on February 19, 2019, at 06:30 PM and visited 279 times.